A test type Zoanoid escapes from the Kronos Corporation with three Guyver Units. Kronos soldiers attempt to recover the units from the test type, but are thwarted when the test type detonates a bomb that he has concealed in his bag. The Guyver Units are scattered in the blast. Two young high school students, Sh? 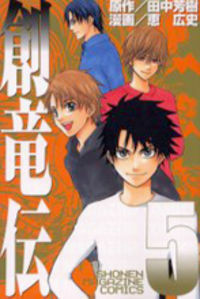 Fukamachi and Tetsur? Segawa, stumble across a lost Guyver Unit known as "Unit I". The second one is retrieved by Kronos and merges with Oswald A. Lisker to become the second Guyver later on. The final unit falls into the hands of Agito Makishima, who merges with it at an unspecified time. Sh? accidentally activates the unit which then painfully merges with him. Over time, Sh? 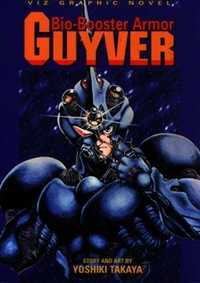 learns more about the Guyver and its abilities. The Guyver is virtually invulnerable with its only weak point being the Control Metal. With this part intact, it can rebuild the host from the data stored within. If this part is damaged, however, the host is eaten alive by the unit and perishes. This is disconcerting and Sh? starts to question whether he will ever be free from the Guyver. The situation gradually gets worse with continuously more powerful Zoanoids appearing. This makes it increasingly difficult to protect his friends, who are not immortal.